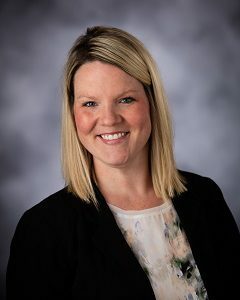 Ashley Lundstrom joined Nebraska Pulmonary Specialties in April 2016 and provides care for patients with pulmonary and sleep disorders in both outpatient and hospital settings. She earned a Masters in nursing in May 2013. Prior to joining Nebraska Pulmonary Specialties, she spent a year and a half working in Omaha at Nebraska Medicine covering the trauma, general surgery, transplant surgery, and critical care medicine services. Ashley and her husband Andy enjoy raising their two children, Chandler and Evelyn, playing with their doodles, Charlee, Oscar, and Grady, as well as attending Yankee baseball games, concerts, running, and traveling.